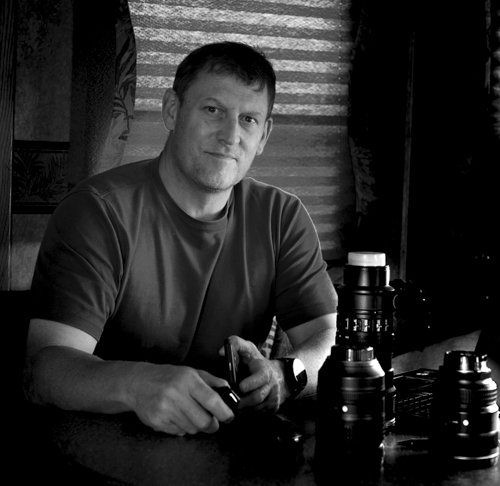 Kenai Peninsula real estate photographer Scott Simpson from Simpson Studios has been a freelance and fine art photographer for over 30 years. In 2017, Scott brought his skills and experience to the real estate and architecture industry throughout the Kenai Peninsula, Alaska. Scott Simpson cherishes delivering images of the highest quality to clients; images that attract more buyers and provide a fantastic return on investment for every real estate agent and business owner he works with. Simpson Studios is based in Homer, and covers the entire Kenai Peninsula. Most of their work is around Homer, Anchor Point and Soldotna, although they are willing to travel further throughout Alaska, though of course extra charges will apply. If you would like to speak to Scott Simpson from Simpson Studios you can call him on the phone numbers listed below, or fill in the contact form and he will get in touch with you as soon as he can. Follow Scott Simpson on LinkedIn. We work with our clients to gain their perspective on what they would like to accomplish with the photo shoot. Then, drawing from many years of Professional Landscape Photography experience, we view every Real Estate Image as one that should tell a story. What effect will it have on the viewer? Our goal is to have the images draw the viewer into it, as to become a part of the image itself. Before arrival onsite, we will send a confirmation out to our clients to ensure that no last minute changes have been made and the home owner is still able to have the house available for the shoot. Once onsite, we do a walkthrough with the listing agent to create a visualization of any specific details the Listing Agent might want covered. We then conduct the photo shoot. Finished images are then delivered within a few days. When I started photography in the mid-1980s, it was all film and darkroom work. So many variables had to be perfect or the best in-camera image could be ruined. In the digital age, editing software is crucial; yet taking the time to get the shot right, in-camera, is still key. The editing is used to accentuate any limitations of the camera. The enjoyment I get in this industry is helping Agents and Homeowners sell their home. I take enormous satisfaction in providing the absolute best images possible, that reflect the pride of ownership the homeowner has had in their property, thereby conveying that to the new home buyer. What is a memorable moment from your photography career? In my Freelance work, I once drove 6 hours one-way to Denali National Park, in March when the National Park was closed for a shoot of the Aurora Borealis. I had to drive 20 miles down a snow covered, unplowed road (no road maintenance) to get to a spot with fantastic vistas to shoot from. I stayed outside all night in 10 degree temps to photograph the Aurora. Afterward, I had a 6 hour drive home. Needless to say I slept for about 15 hours after! What’s the funniest thing that’s ever happened to you on a photo shoot? On another Freelance shoot, I received last minute news that the Auroral forecast was set to be very strong that night. After conferring with several colleagues, we all made last minute camera equipment grabs and drove two hours into the Alaskan night, to a remote mountain valley to shoot from. The Auroral display that night was amazing! Which, in a way, made up for the lack of a tripod. What advice would you give to someone in Charlotte who was selling their home? We all have friends or relatives that most likely work in the Real Estate Market. We all want to help our friends and relatives out. However, when it comes to selling your home, go with an Agent that will treat your home sale as if it is their only listing. They will go the extra mile to sell your home and make it shine like the castle it is. Before signing a contract, look at some of the other listings the Agent has done. Get a sense of their commitment to the listing. And make sure they use a professional Photographer! I still love to catch a sunset landscape image when I am in an area that allows it. I also love to hike, scuba dive, travel and fish! I can at times be found hip deep in a river, with a fly rod in one hand and a camera slung around my back. “I was born and raised in Columbus Ohio, (yes I am a Buckeye fan). Photography was introduced to me in high school, back in the mid 80’s. What started as a creative outlet turned into a passion, which led to my enrollment in a 2 year professional photography program. The dream of being a National Geographic photojournalist clashed with the economy of the late 80’s, so marketing and education became a direction after spending some time in the US Army. Chasing other childhood dreams led me to live in Arizona, Alaska and Hawai’i. Throughout the journeys, photography traveled with me. In 2005, with the advent of the digital revolution, I decided to make the switch to a Digital Single Lens Reflex (DSLR) system. Besides, I also had a color darkroom (film), and moving that around really became tiring! During my 20 years in Alaska, I spent time working as a Mortgage Loan Officer and graduated from a local Real Estate academy (instructional course that led to becoming a realtor), though I never took the state test to be a licensed agent. Bourne from my passion of the Real Estate industry, and through working with a close friend in Hawai’i, I have blended my passions of Photography and Real Estate to form Simpson Studios. I now am enjoying all that Alaska has to offer. February 2019 newlsetter is here! A terrific crowd-funded NYE fireworks display!